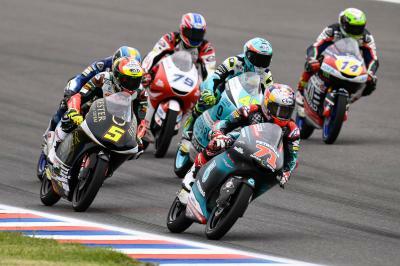 Petronas Sprinta Racing’s John McPhee remains the fastest man in Moto3™ at the Gran Premio Motul de la República Argentina after going three tenths clear of the chasing pack during FP3. 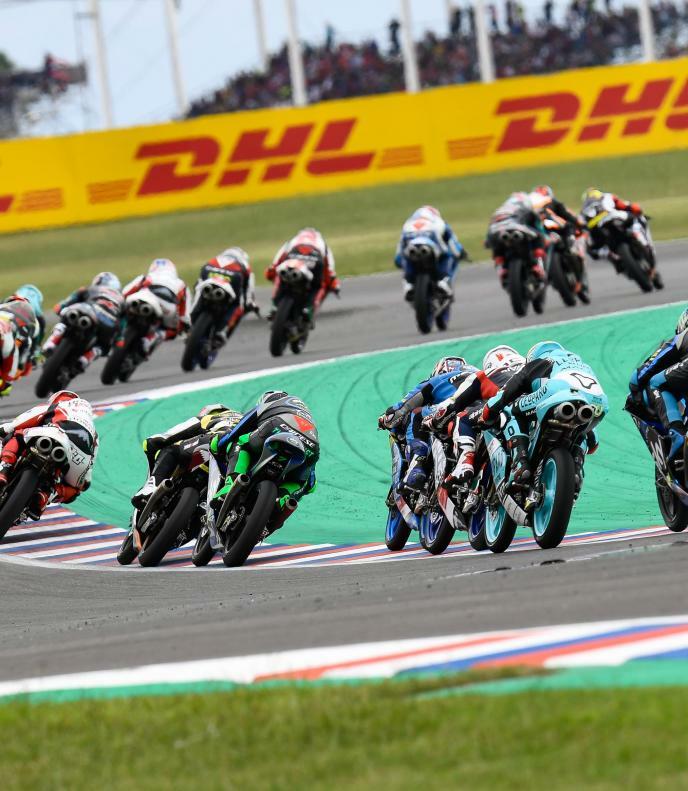 In a session that was akin to the qualifying sessions of previous years, every single one of the 29 Moto3™ riders were sat in pitlane with just seven minutes remaining. 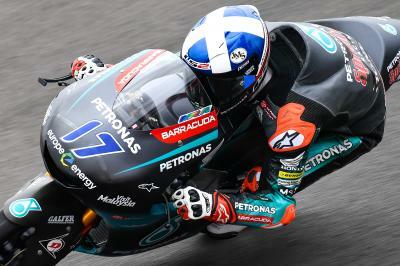 Eventually though it ended as we were yesterday with McPhee on top after the Scotsman was able to take a further 0.9 seconds off of the laptime that saw him top yesterday’s FP2. 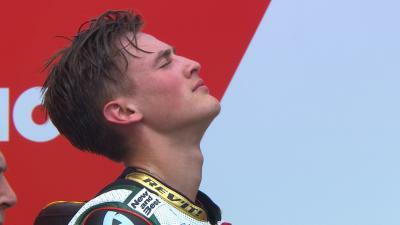 As a result, he became the first man to drop below the 1:49 mark by setting a 1:48.959. McPhee will be joined in Q2 later today by SIC58 Squadra Corse’s Niccolo Antonelli after moving up to second in the closing stages of the session. Leopard Racing’s Marcos Ramirez and Lorenzo Dalla Porta were third and fourth on the timesheets, separated by just 0.007 of a second. 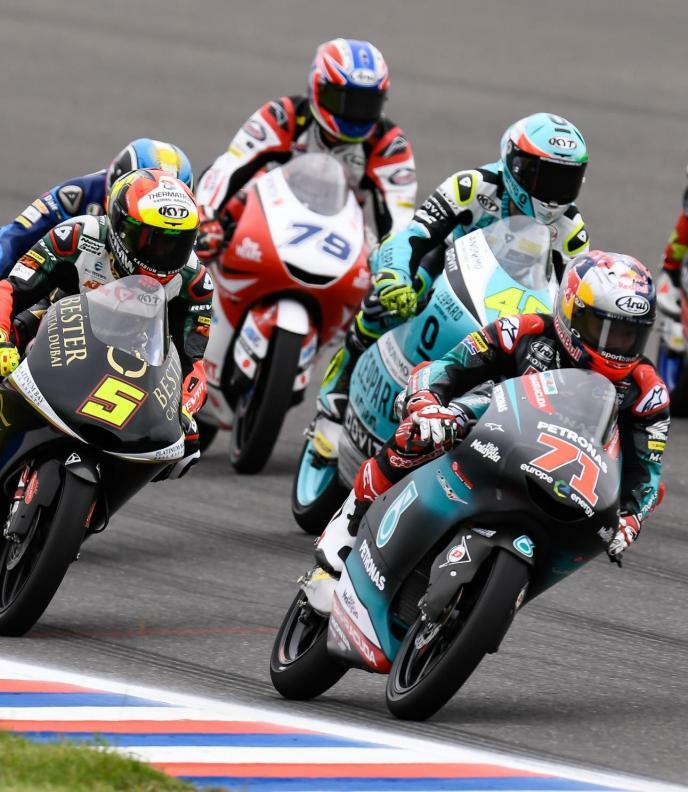 After languishing outside of the top 14 with 60 seconds remaining, VNE Snipers’ Romano Fenati jumped into the top five with his last lap of the session to secure a place directly into Q2. 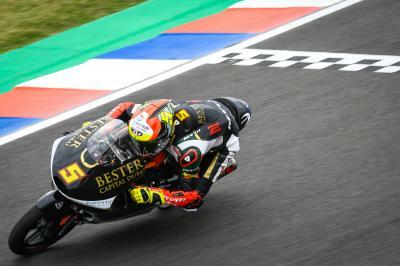 Raul Fernandez (Sama Qatar Angel Nieto Team) has quickly adapted to the Termas de Rio Hondo circuit after finishing sixth overall on his first visit to Argentinian track. He’ll be joined in Q2 by the Japanese duo of Tatsuki Suzuki (SIC58 Squadra Corse) and Qatar race winner Kaito Toba (Honda Team Asia). Last year’s pole man Tony Arbolino (VNE Snipers) could still bag back-to-back pole positions after ending ninth quickest before Estrella Galicia 0,0’s Alonso Lopez rounded out the top ten. Bester Capital Dubai’s Jaume Masia ended eleventh ahead of Aron Canet on his Sterilgarda Max Racing Team. 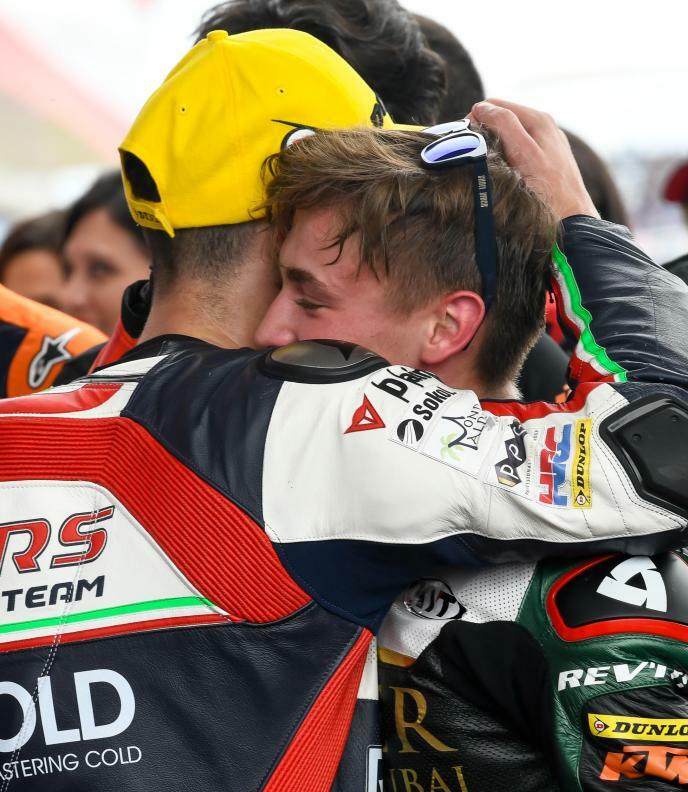 Kömmerling Gresini Moto3’s Gabriel Rodrigo snuck into the top 14 despite crashing out unhurt in closing stages with Honda Team Asia’s Ai Ogura taking the final spot directly into Q2.